When getting married it's ok to have the jitters a bit, after all, marriage is a serious life-long commitment that will have you thinking twice about making things official with your partner. 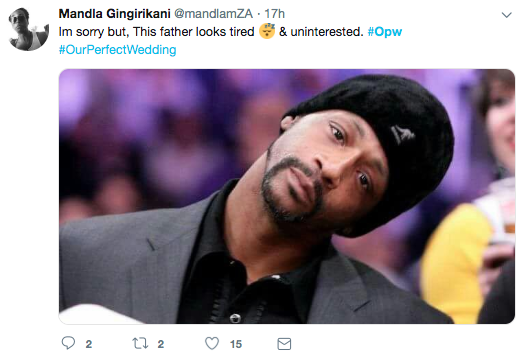 Some people have even called off weddings just days before their big day because of either being too nervous or being unsure of what they're signing themselves up for. However, marriage/weddings are something that should make you absolutely excited about this next phase of your life and should not make you feel as though you're about to sign your death wish. 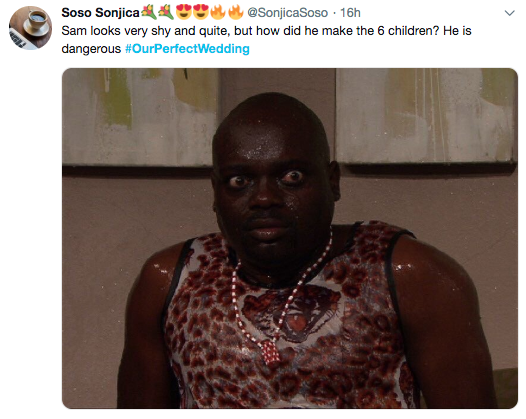 But some viewers just couldn't help but feel like Bra Samuel was not looking forward to getting married. 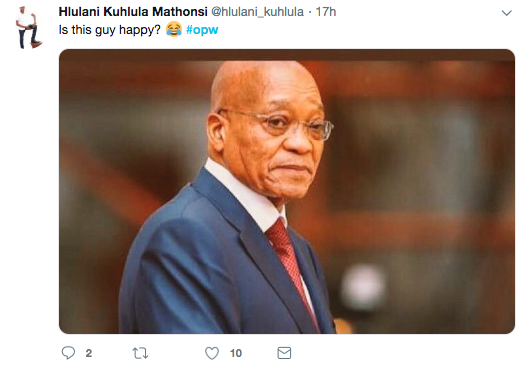 Many viewers were so concerned about Samuel they couldn't help but ask if the man was ok.
And others were genuinely worried about his well-being. 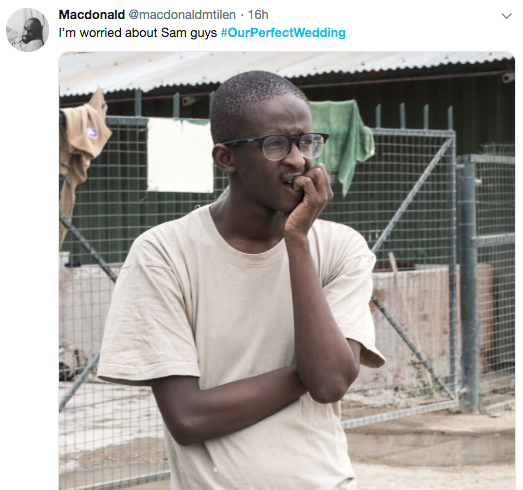 Seriously, if you watched last night's show you would've seen that Samuel just did not seem ok.
Or maybe it's because he was genuinely tired from all the planning that goes into preparing for a wedding. 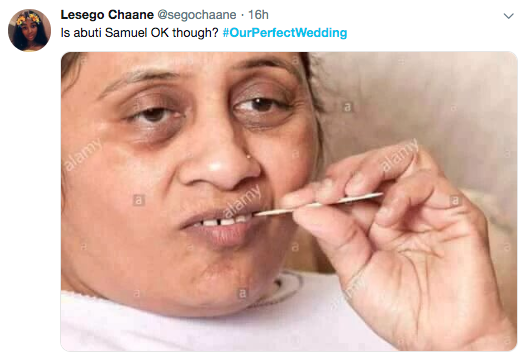 Granted, Samuel didn't come across as someone who looked happy on his wedding day but maybe we're just overreacting, the man was probably just absorbing everything in and was perfectly fine.